Bushell House Residential Care Home, is a beautiful Grade 2 listed Georgian retirement home set in award winning gardens on the edge of the pretty village of Goosnargh, three miles north of Preston. Our 31 spacious en-suite rooms offer peaceful relaxation and beautiful views of the village and surrounding countryside. Each room is equipped and decorated to a high standard and residents may bring their own personal pieces of furniture if they wish. The house has two large communal areas with internet access and free Wi-Fi, where the many activities such as Pilates, flower arranging, travel talks and knitting are organised by our dedicated activities co-ordinator. The beautiful gardens provide tranquil outside space and the heated summer house can be a place for socialising with a cup of tea, reading or simply watching the world go by. All food is home made using high quality produce from local suppliers by our experienced chef, and all dietary requirements are catered for. Hospitality is always offered to family and friends who are welcome to visit you at any time of the day. 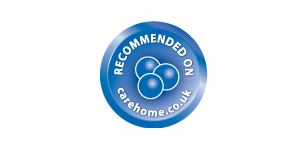 We have a team of highly trained and dedicated care staff providing an exceptionally high standard of care 24 hours a day. A GP visits regularly and access to chiropodists, dentists and opticians can be arranged. Please don’t hesitate to contact us if you would like more information or if you would like to arrange a visit. 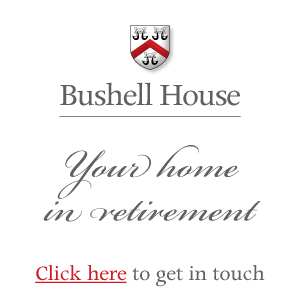 Bushell House is a registered charity and is also registered with the Care Quality Commission.